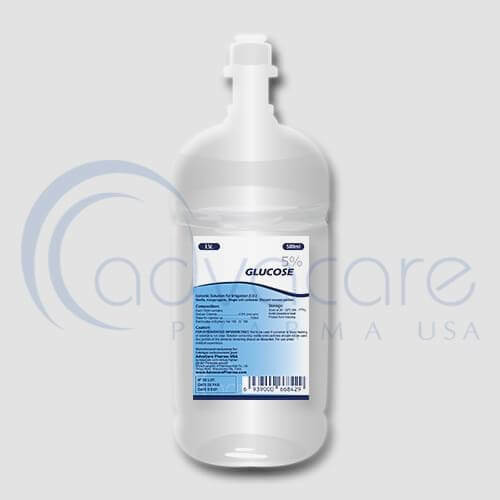 *AdvaCare Ambroxol Hydrochloride + Glucose Infusions are GMP certified. **AdvaCare Ambroxol Hydrochloride + Glucose Infusions are manufactured in our facilities located in China, India and USA. AdvaCare is a GMP manufacturer of Ambroxol Hydrochloride + Glucose infusions. Ambroxol hydrochloride and glucose infusions are used in the treatment of respiratory diseases which include all forms of tracheobronchitis, emphysema with bronchitis pneumoconiosis, chronic inflammatory pulmonary conditions, bronchiectasis, and bronchitis with bronchospasm asthma. During acute exacerbations of bronchitis it should be given with the appropriate antibiotic. It is a mucoactive injection solution with several properties including secretolytic and secretomotoric actions that restore the physiological clearance mechanisms of the respiratory tract, which play an important role in building body’s immunity. As with all pharmaceuticals some unwanted effects can occur from the use of ambroxol hydrochloride and glucose infusions. Always consult a doctor or healthcare professional for medical advice before use. Common side effects include: Occasional gastrointestinal side effects (normally mild). Always consult your doctor or pharmacist before taking ambroxol hydrochloride and glucose infusions. You are hypersensitive to ambroxol. Over dosage, application frequency, and treatment duration of ambroxol hydrochloride and glucose infusions should not be exceeded. Ambroxol hydrochloride and glucose infusion is not recommended for the treatment of infections due to inadequate efficacy. Consult with your doctor about any medications you are taking, before your treatment with ambroxol hydrochloride and glucose infusions.